This Ohio home is not only beautiful but also one of the most efficient homes in the state. 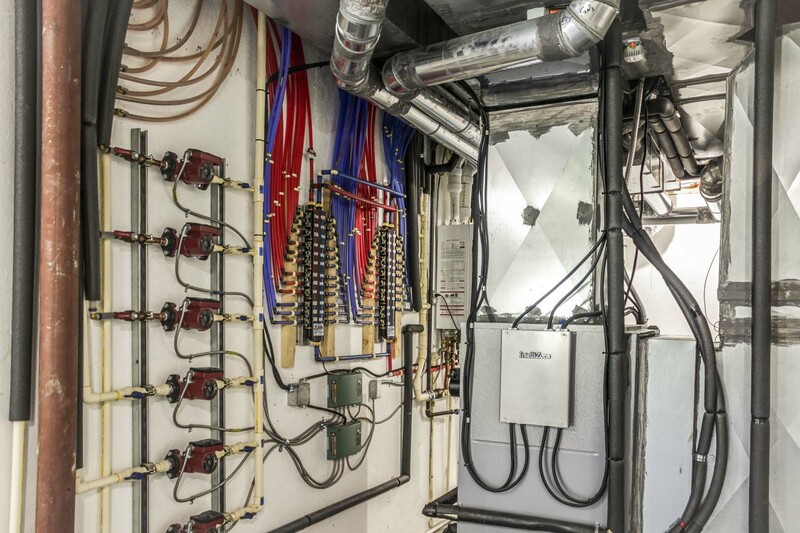 Choosing BuildBlock ICFs as their primary construction system for exterior walls, the Wehrs realized they could easily build Ohio’s first Zero Energy Ready home simply, and cost effectively. When Chris and Lori Wehr moved to Ohio they were excited by the opportunity to build a new custom home. Chris works in the energy efficiency field so he knew that there were several building systems available that could produce exceptional results. 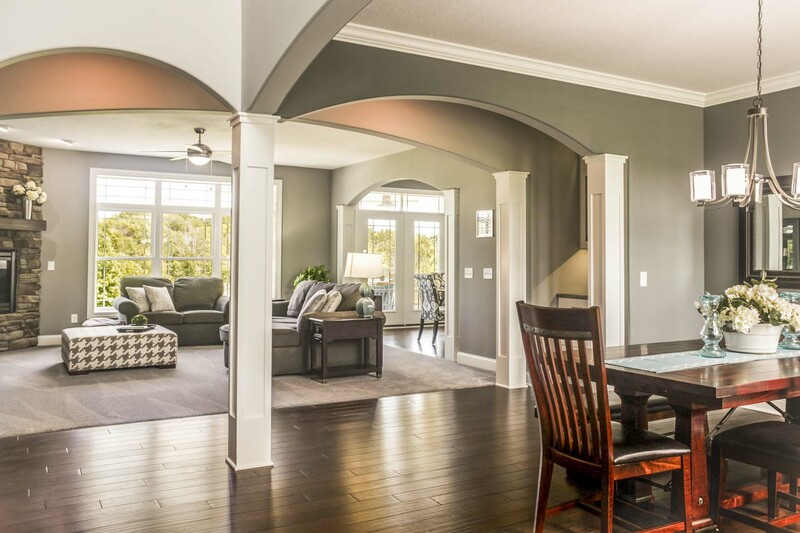 The Wehrs approached Charis Homes, a leader in custom energy efficient homes in Ohio, with a solid idea of how they wanted their house to look, feel, and perform. Charis is committed to building Energy Star rated homes but when the plans were all laid out, Chris and Lori realized that with a few small adjustments they could go above the standard Energy Star rating and make a little local history as well. With BuildBlock ICFs as the primary construction system, they began down the path to build Ohio’s first Zero Energy Ready Home. What is a Zero Energy Ready Home? that stabilizes the interior temperature, blocks unwanted noise, and enhances the air quality throughout the house. It’s a difficult balance, trying to control home air leakage while still providing the proper amount of humidity and ventilation. Blower tests were done after construction and proved that the ICFs make this home air tight. With exceptional planning and execution, the proper humidity to ventilation ratios were reached meaning that the air in the home is always clean and healthy. The home is heated with a geothermal system that circulates hot water throughout the house and also has a backup generator and water tank. In the spring of 2017, the Wehrs plan to install solar panels on the roof. This final addition should produce enough electricity to supply all of the family’s energy needs and lower their utility bills close to zero. Even without the solar panels, Chris and Lori pay less than $100 a month in electricity costs (and this includes the cost to heat their home as well). All of these elements work together to make the home efficient, and the ICFs are the largest component of the energy efficient design. We market ICFs as the Mercedes of houses and remind new builders that they have an amazing opportunity to build a house that will have value for a long time. When our customers see the benefits of building with ICFs, it’s an easy decision. ICFs are an incredible building material well beyond their energy saving qualities. Since the walls are filled with reinforced concrete the home is strong and very quiet. Chris Wehr commented that on several occasions he would walk outside, only to realize that it was raining; that’s how quiet the home is. The Wehr’s moved in during one of the coldest winters that Ohio had seen in years. Their neighbors would continually complain about how hard it was to keep their homes warm while Chris spent his evenings in shorts and a tee-shirt. They’ve built a house that makes them proud. One that will last for generations and provide peace of mind as long as they live there.